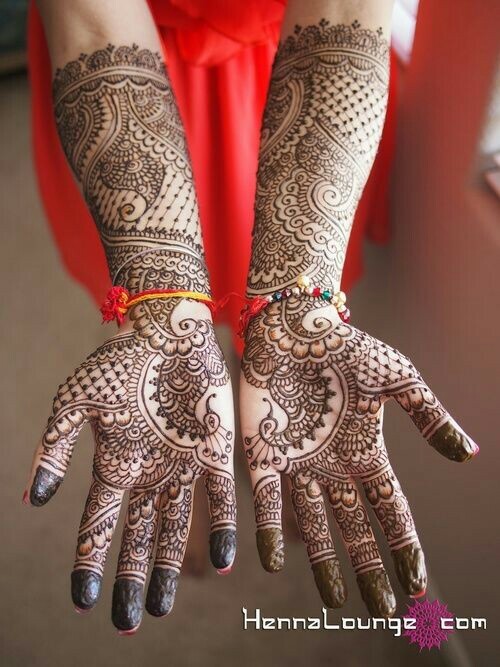 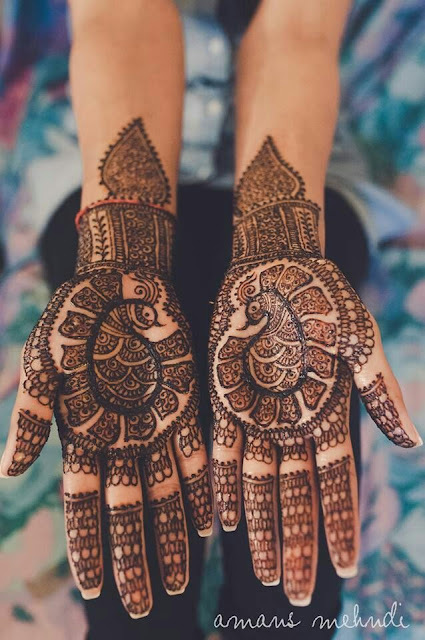 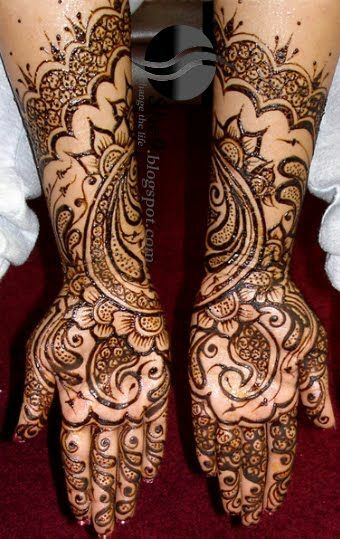 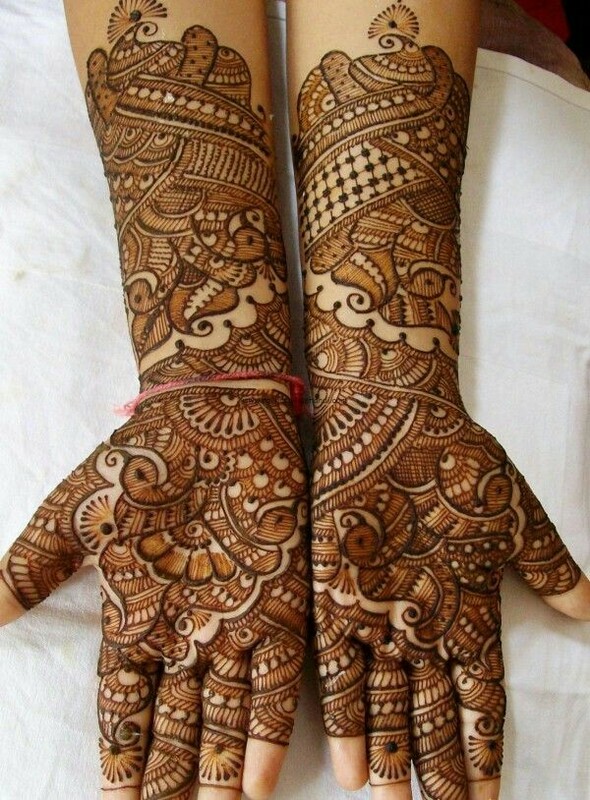 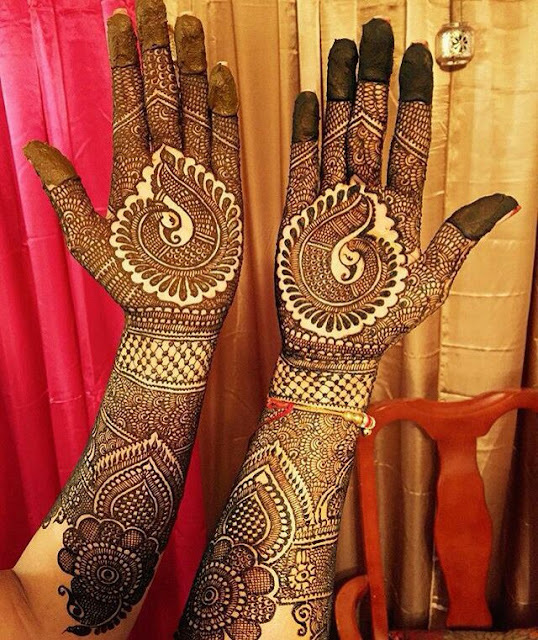 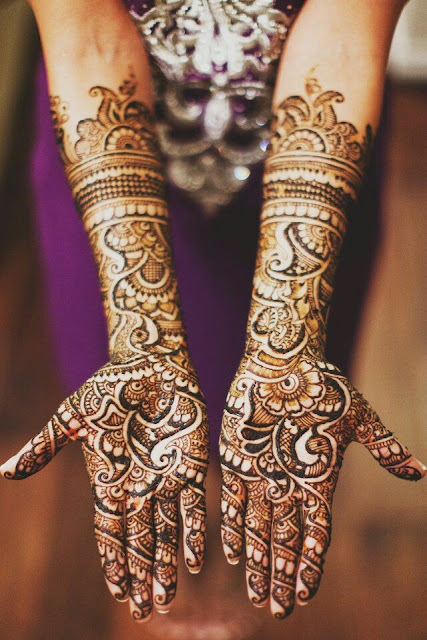 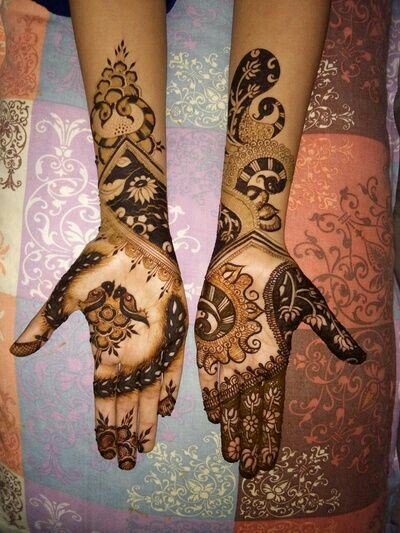 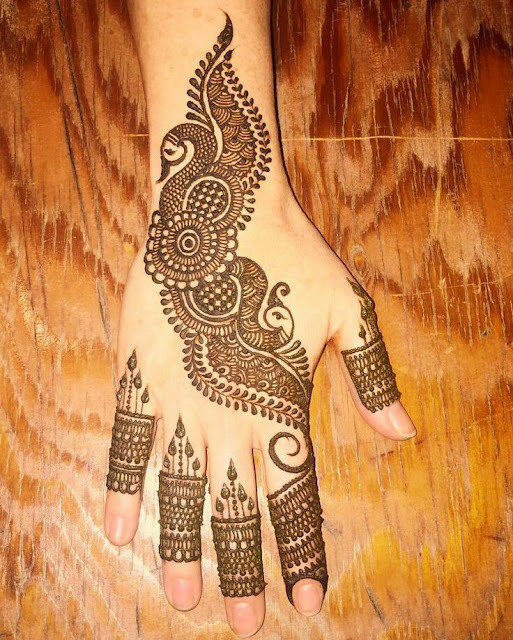 Henna mehndi designs have a lot of lines, dots, curves, vines, flowers and motifs in them. 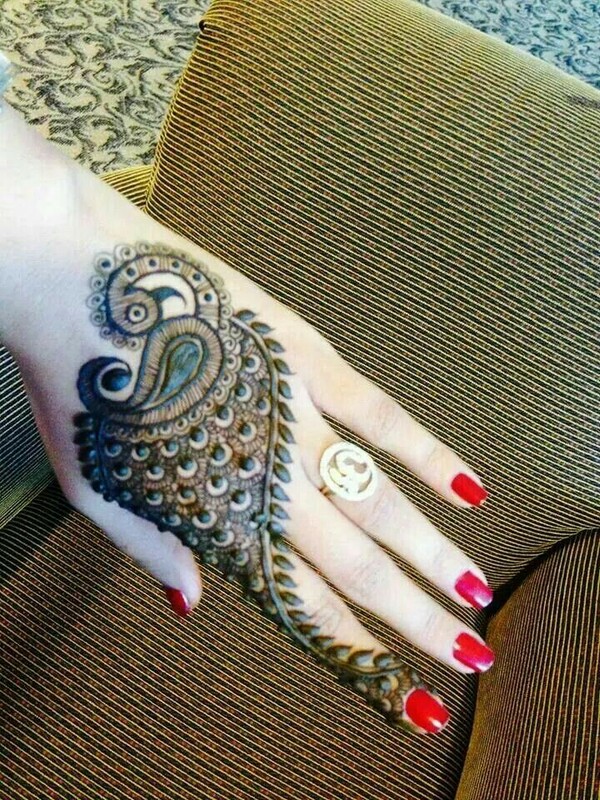 Animal motifs in mehndi designs is getting very popular these days especially in bridal henna as brides want to keeps things unique and exquisite. 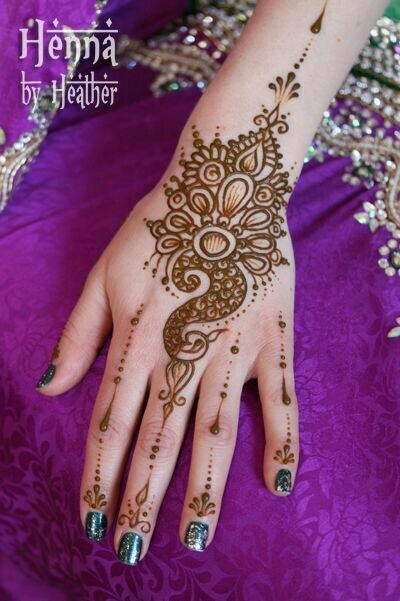 Peacock is one very popular motif spotted in many bridal henna mehndi designs. The national bird of India is associated with prosperity, good luck and survival and its feathers have a lot of cultural significance. 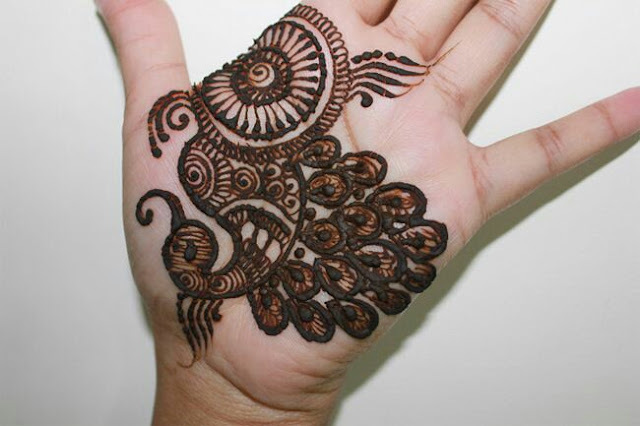 With peacock being considered so auspicious it is only very natural for it to be used in henna mehndi patterns for a beautiful design with a traditional touch. 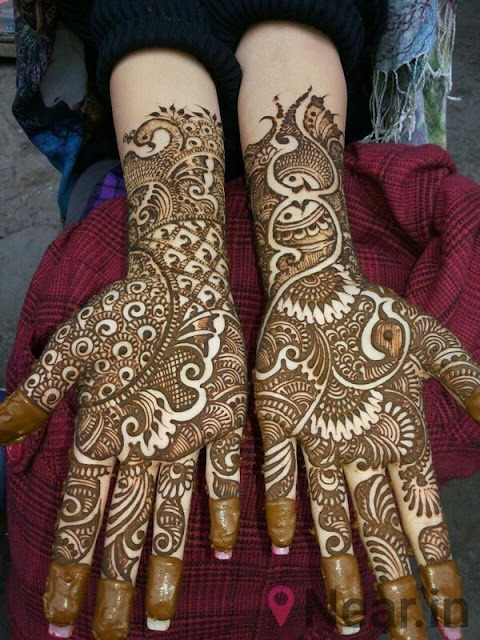 Intricate peacock patterns required skilled hands and is not for beginners but with little practice you can yourself put on beautiful peacock mehndi designs. 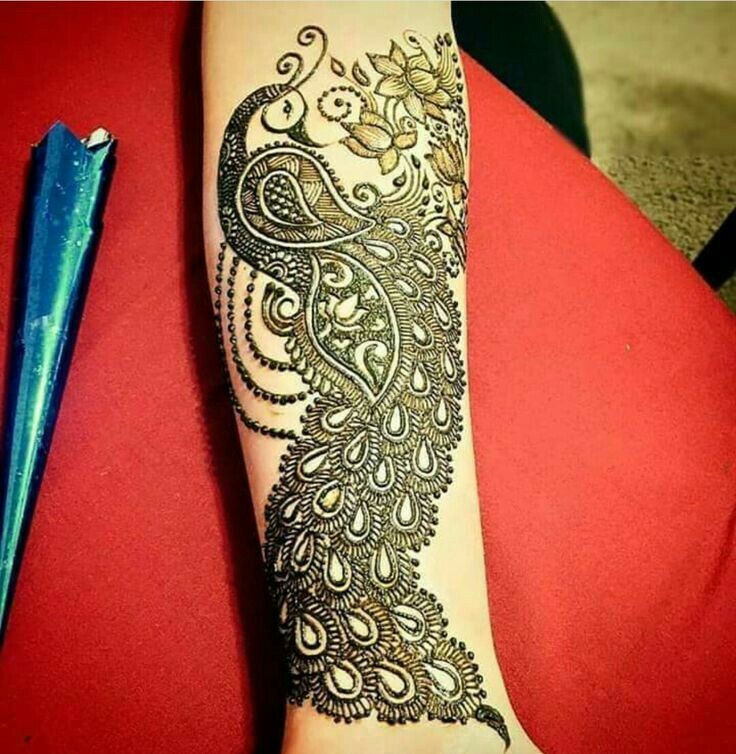 Here I bring to you latest peacock mehndi designs for inspiration so go get practicing! 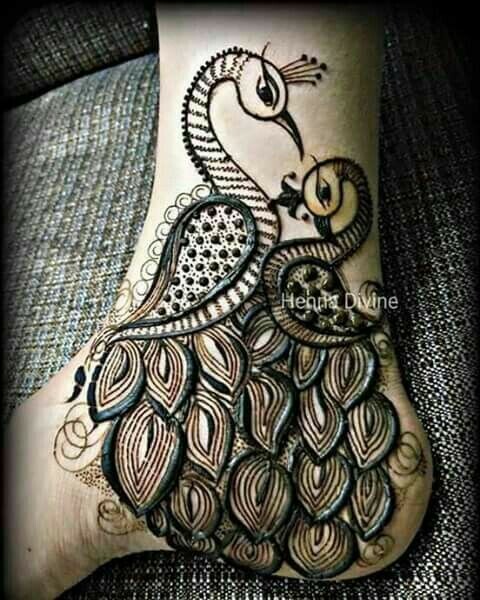 If you are beginner with mehndi art and want to try peacock mehndi designs, this simple pattern is what you can start off with. 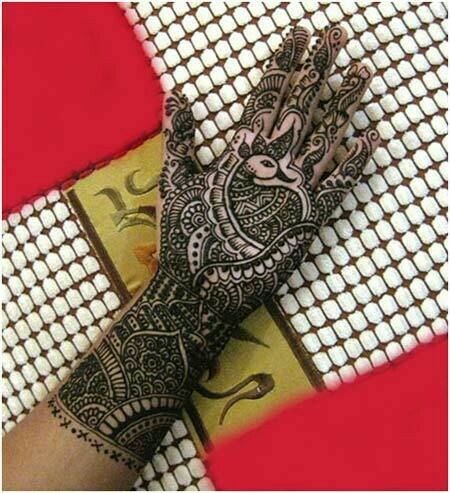 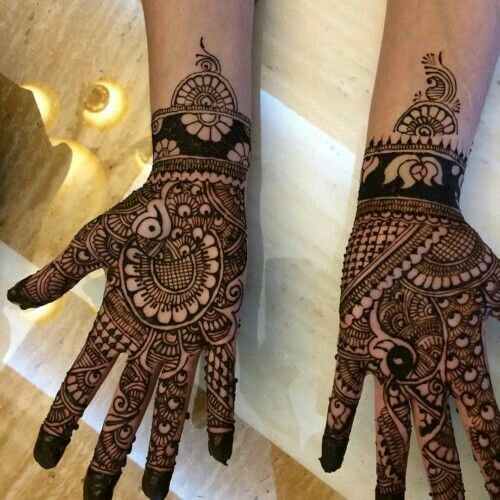 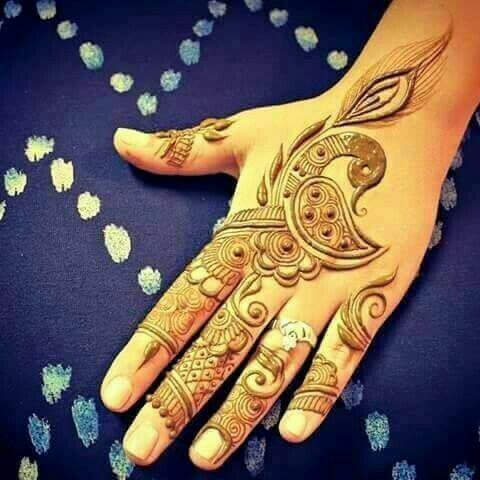 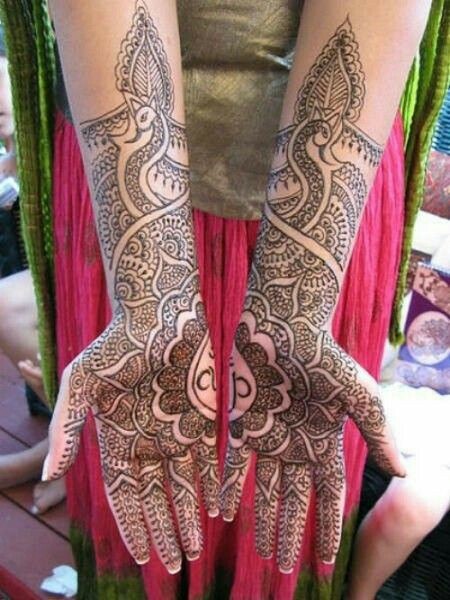 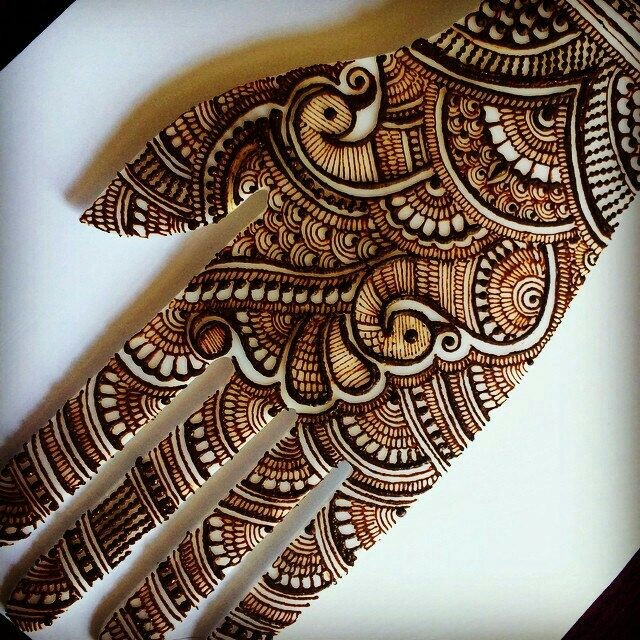 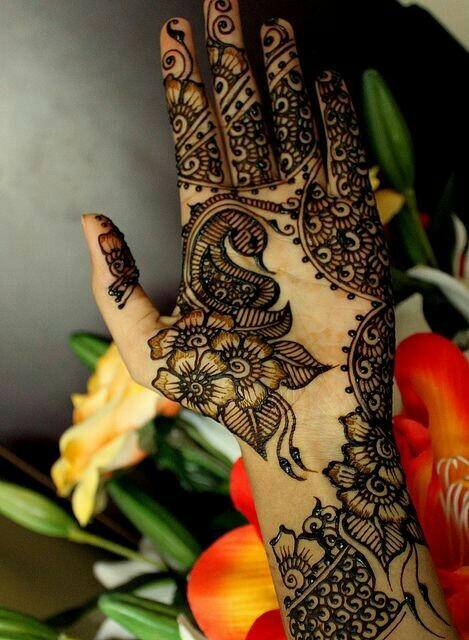 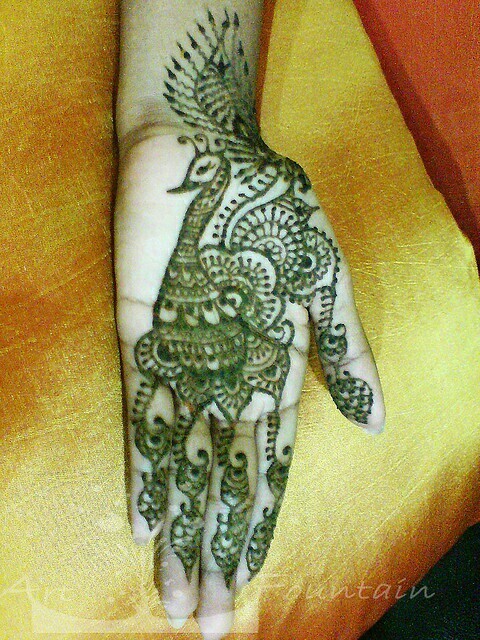 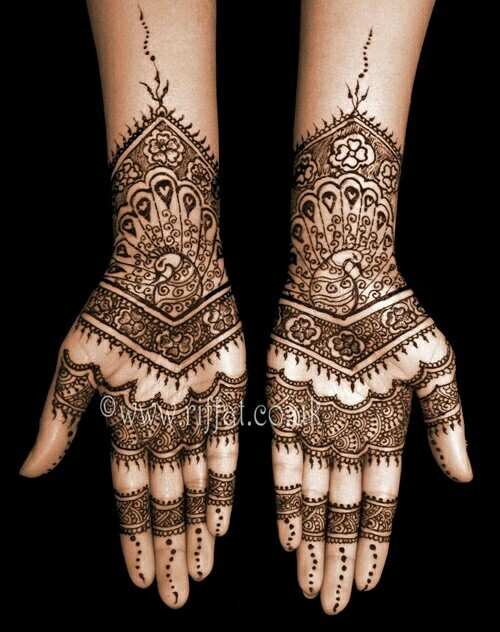 This mehndi design will look good both in the front and back of hands for occasions like eid, Diwali etc. 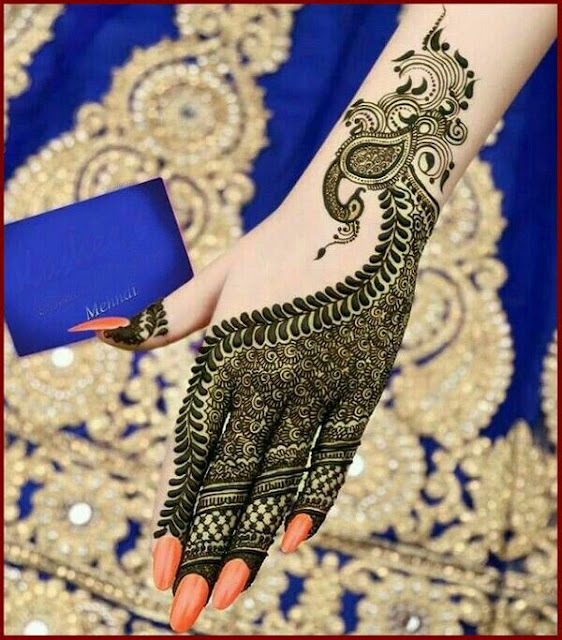 Peacock motifs in bridal mehndi designs look alluring and this netted henna design looks gorgeous. 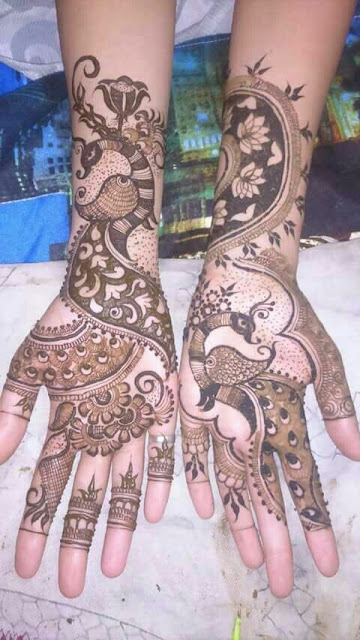 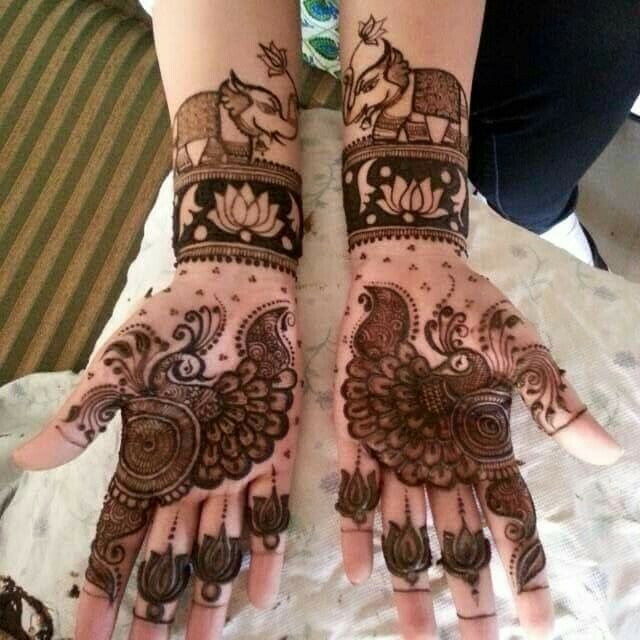 In this mehndi design the double peacock motif on each hand is centre of attraction. Mehndi designs with lots of spaces are in vouge these days and to flaunt this trend you can try this stunning peaock mehndi design which has a lot of intricate curls, swils and jaal. 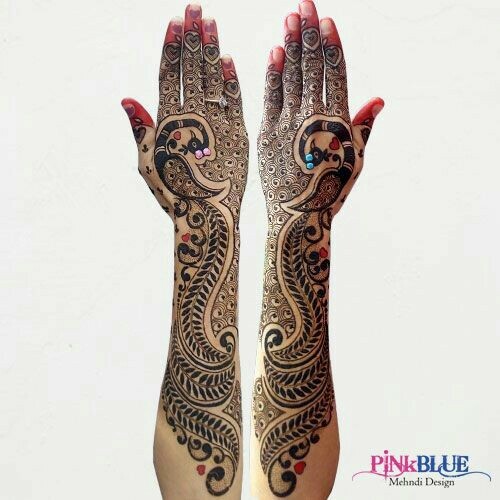 Peacock as its base and vines accompanying it, this mehndi design is best suited for back of hands but you can give it a try even on your palms. 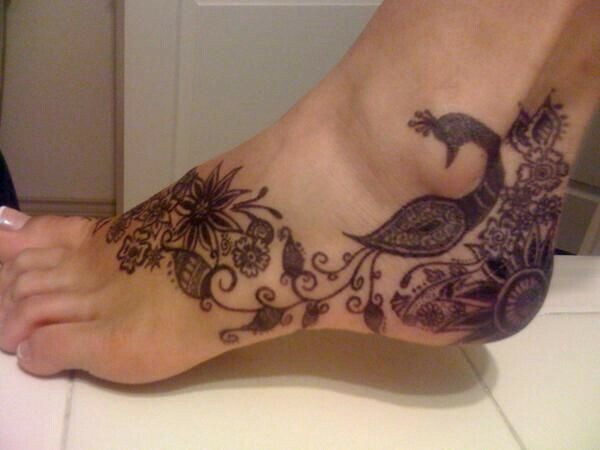 Thick pair of peacocks form a gogeours foot tattoo which is a good change from the normal feet mehndi designs. 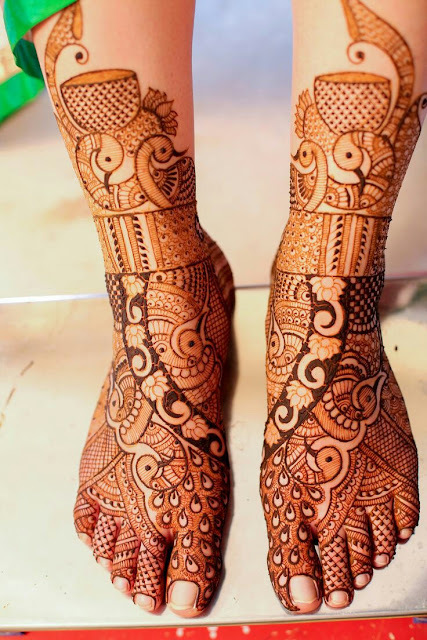 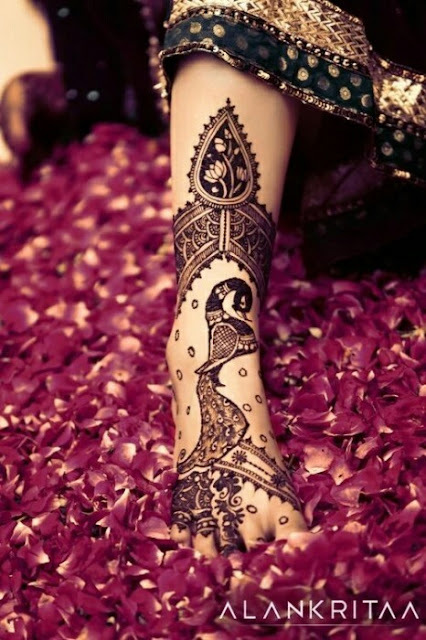 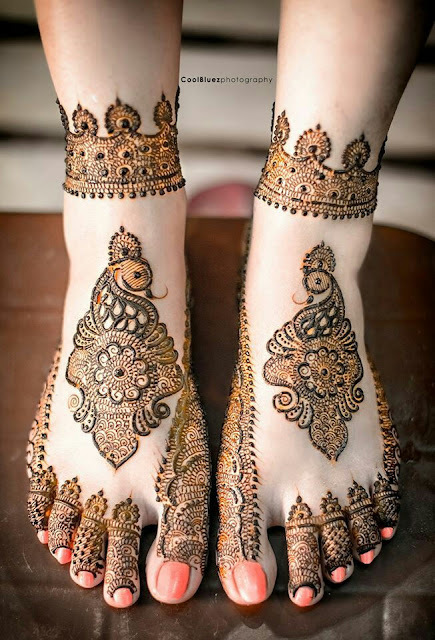 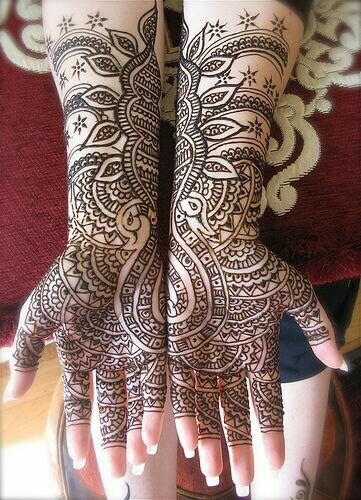 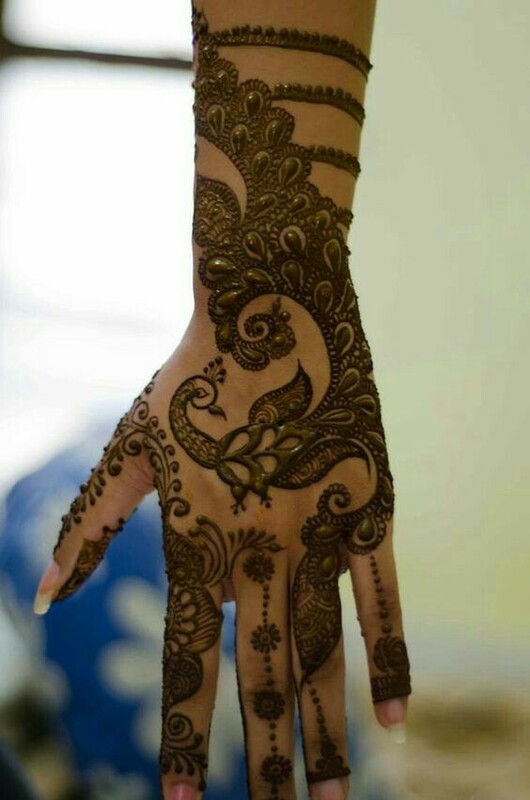 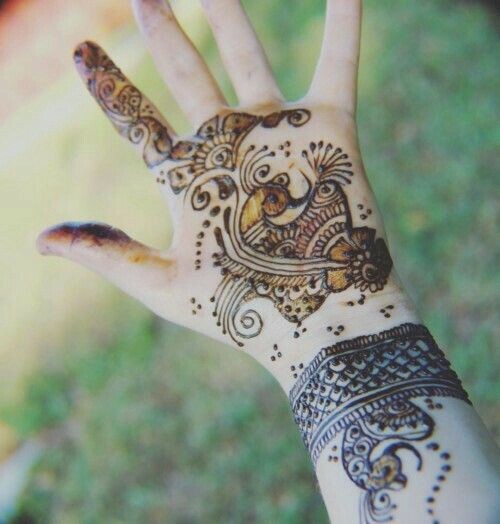 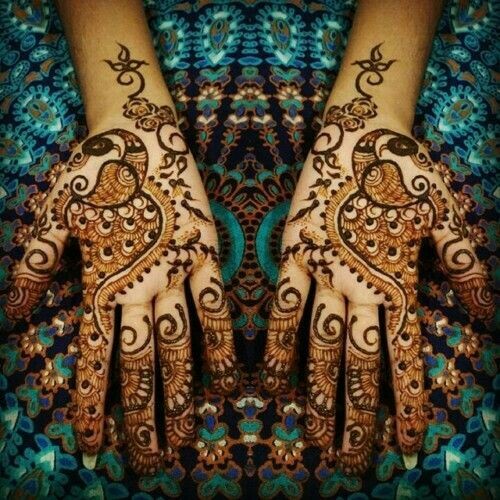 If you like your henna designs to be thick and dark try this on your feet. 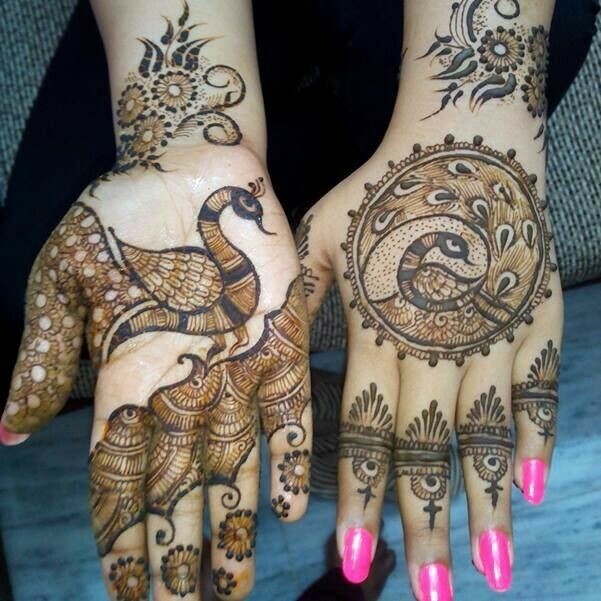 This palm mehndi design with peacock as its centre of attraction is best suited for school kids and the acompanying ashoka chakra gives this pattern a very patriotic vibe. 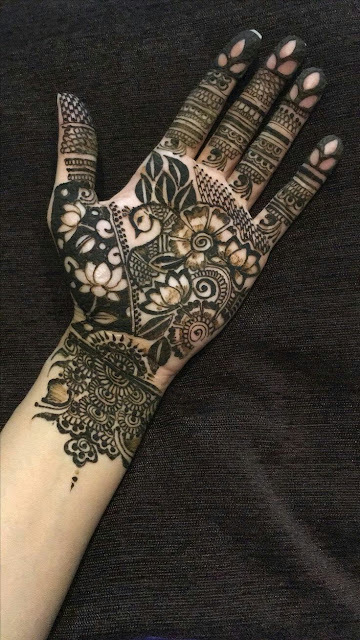 Which peacock mehndi designs do you like most? 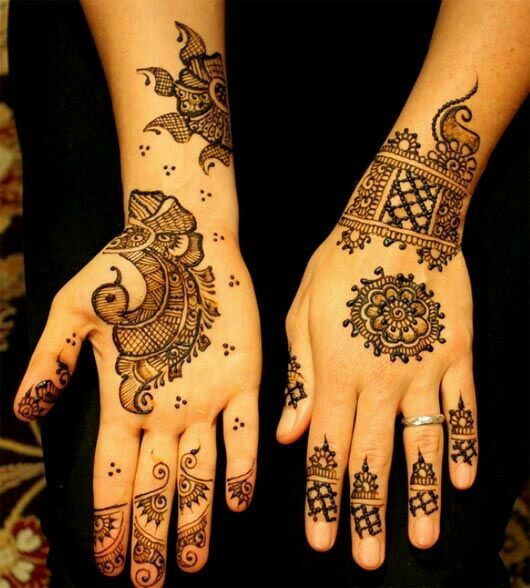 I personally love #20 and #37 becuase they are so distinct and new age.